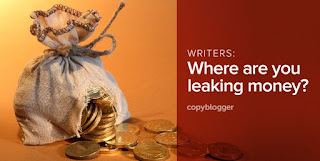 Sales copy, web copy, de-jargonized annual reports, useful blog posts, engaging email newsletters, podcast scripts, ghost-written business books … when it comes to content that writers are paid money for these days, the list is long. But is no one knocking down your door asking for your expertise? Are prospects unaware of how you’re able to help them clearly and concisely communicate their thoughts? Why would that be the case? Most likely it’s because your online presence doesn’t actually sell your writing services. If potential clients don’t know you’re a “pen for hire,” or the type of “pen for hire” you are, how can they purchase your services? 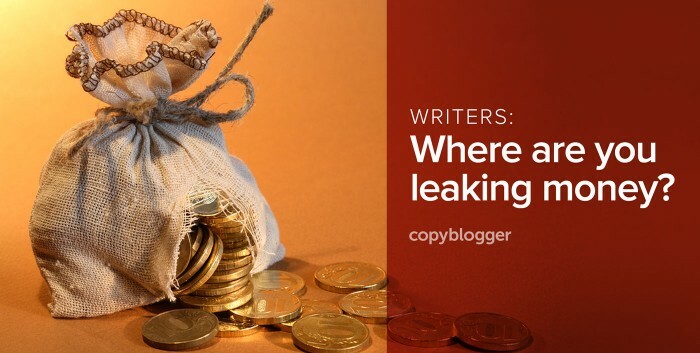 Let’s look at four places writers tend to leave money on the table and how to fix these common mistakes. As highlighted in the first line of this article, there are many different services writers can offer. The person visiting your website, however, is looking for a very specific type of writing help. Does your home page or services page directly state the type of writing you specialize in? The services page on Trudi Roth’s site does the same. Does your website take away the guesswork for your prospective client? Does your website show off your unique personality and style? Or does your website copy sound like anyone could have written it? There are two main indicators that show people whether you’re competent enough to write for them. The first is whether your website copy is well-written. Unlike painters who can get away with shabby-looking houses, writers cannot have shabby work gracing their online homes. I’m always stunned when I find boring, grammatically unsound copy and spelling errors on writers’ websites. The second is whether your clients recommend you. Written testimonials, like the ones Kristi Hines has on her site, work just as well — especially when they’re from well-respected people in your industry. I’ve lost count of the number of writers who write blog posts aimed at other writers. That’s appropriate if other writers are actually your target market, but for most writers, they’re not. The target market for most writers is business owners, so offer information that demonstrates how your writing services help their businesses. I edit a large business website in Australia and writers often submit articles to me for consideration. It’s surprising to see how poorly written some of those articles are, but I shouldn’t be surprised; I used to submit sub-standard writing to large online publications too. When you expose your writing to a new audience with a guest post, you’ll benefit the most when you submit your very best work. Guest posts submitted to large online publications should be your very best content. We’re able to communicate complex thoughts and ideas in simple ways. Are you finding and interacting with your target market on social media? My friend Kerri Sackville has been able to turn her engaging and entertaining content on Twitter and Facebook into book deals and paid (yes, paid!) newspaper columns. Other friends have landed magazine work and gigs writing branded content for large multi-national publications. Spend time crafting your social media bios, too. They need to make it clear that you sell writing services. Bonus points if they also offer a glimpse of your unique voice or USP. Take advantage of every opportunity to stand out from the crowd. Start with your website. Once that’s humming, get busy writing high-quality guest posts and leveraging social media to catch the attention of people who don’t yet know you — but should. This will help ensure that when prospects have money to spend on writing, you’ll be the first writer they contact.